Indicted Republican Rep Dodges Court Appearance - Joe.My.God. 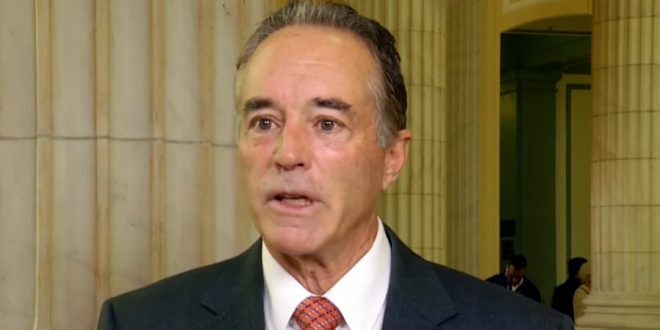 Rep. Chris Collins’ next court date is set for Thursday, but the Republican from Clarence won’t be there. There’s nothing unusual about a criminal defendant seeking approval to miss a procedural court appearance, and nothing unusual about a judge granting that approval. But in this case, those moves have political implications. Collins is running for re-election and facing an aggressive challenge from Democrat Nathan McMurray, the Grand Island town supervisor. And by avoiding his court date next week, Collins avoids the campaign-season pictures and video clips of him entering and leaving the federal courthouse where he is set to stand trial someday.